I assume most of us want to help others when we can. 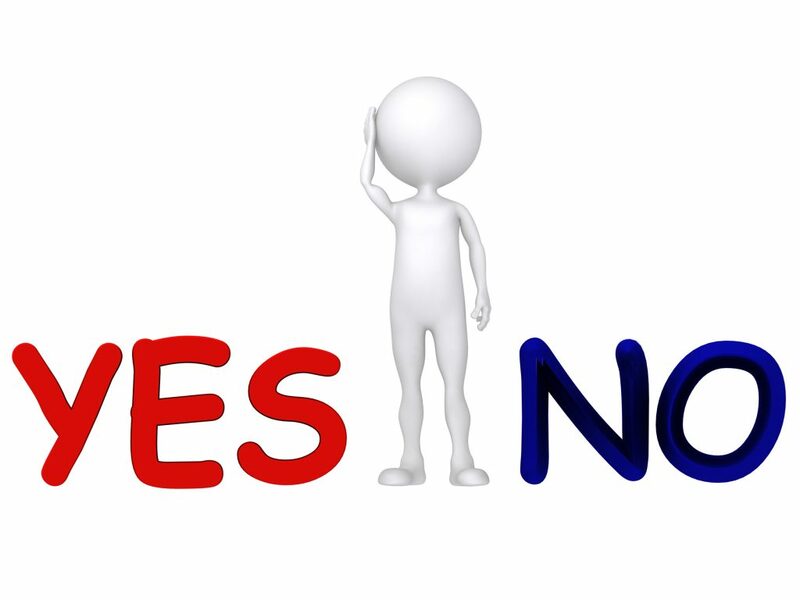 Is someone asks, we’ll often say yes automatically. After becoming overwhelmed with volunteer work recently, I’ve decided that ‘no’ needs to become part of my vocabulary more often. This will make some people who know me laugh heartily, I’m sure, since ‘no’ is already one of my favourite words – at least toward them – but not so much toward others. Perhaps September is one of those months that’s overwhelming for everyone with seemingly everything starting up again. Regardless, in the past couple of weeks I hit a wall. I had board meetings and other events every night – or so it seemed. By the time I had one night to myself, I was either behind on other stuff and had to work or was too tired to just enjoy a relaxing night at home – and there’s nothing wrong with that from time to time! Normally, volunteer work and other off-hours obligations are spread out a bit, but September craziness took over this year! At some point, though, enough is enough! No, it’s not normal to be busy all the time. It’s OK to relax. It’s OK to have two evenings in a row without a meeting or having to work. Imagine! These days, if that happens, I feel like a slacker. I’ve received a few very nice invitations lately to help a worthwhile cause or attend a special event. Unfortunately, I came to the conclusion that I’m quite simply overextended and a reset is in order. Other regular obligations are coming up for renewal but I’ll step back and let others take my place. At some point, you have to sharpen your focus and stop being all over the map. It’s very difficult for volunteer groups to find people to help. I don’t see young people volunteering like they used to. I’ve always believed in giving back to the community and – like many of you – have volunteered hundreds and thousands of hours throughout my life. What I learned through volunteer work has been invaluable. Many of the people I’ve met – and continue to meet – have become good friends and colleagues. I can’t see myself ever stopping being a volunteer. Indeed, without volunteers, this entire city, province, country – and the world – would stop functioning. If you’re in your 20s and 30s and looking to meet new people and get some invaluable experience, volunteering can be a fantastic experience. There are so many excellent organizations out there who need dedicated people to serve on their boards or do some of the heavy lifting ‘in the trenches,’ so to speak. Lately, though, I’ve felt compelled to start saying no to new requests and the personal urge to take on new obligations. I’m no martyr. I’m just a busy person – but it’s not healthy to find yourself working constantly and feeling guilty about taking time off. Hey, shouldn’t I be updating that group’s Facebook page or writing those board meeting minutes or attending yet another meeting? We should never feel guilty about saying no. Our time is ours. Our money is ours. I swear that I could easily spend $500 on tickets over the next month going to various fundraisers if I wanted to. We sometimes need to remember that it’s not our job to save the world. The other day on Facebook, I’m sure I upset a few people by ranting about someone who was targeting people in a grocery store parking lot by asking for money. First of all, it’s unnerving to be approached in a parking lot by a complete stranger within five seconds of getting out of your car; and secondly, I do a tonne of volunteer work and give my fair share of donations as it is. I’m not going to fork over more money to you just because you asked for it, in a parking lot of all places. No. Just no. Never. I certainly didn’t have any trouble saying no that day. I’ve found myself asking people for donations for volunteer causes I’m involved with – either straight donations or buying raffle tickets and similar things. I’ve also asked people to join clubs I’m in. You can just tell when someone has trouble saying no. “I’ll consider it.” “I’ll let you know in a few days.” Those are roundabout ways of saying no. Just say no and save everyone some time, OK? Yes, be polite and courteous, but why beat around the bush? Every time I say yes out of guilt or ego, I regret it. I need to practise my guilt-free no. It would save a lot of time and misery. The Sept. 26 – Oct. 2, 2016, edition of Brian Cormier’s Weekly Update is out! As with many avid readers, Stephen King was a particular childhood favourite, although fiction has fallen out of favour with my reading habits in adulthood. These days, my tastes trend toward celebrity biographies and business books. I also read the Flowers in the Attic series by V.C. Andrews (in retrospect, definitely not for children!) and real-life horror tales – one of them being The Amityville Horror. One of the features of the movie version of The Amityville Horror was a priest getting attacked by flies. As reasonably harmless as that sounds, the tension of the movie, the music and the acting made it scary. This reminded me of when I visited my grandparents on P.E.I. They lived in the country, so there were always flies around. Big ones. They’d carry off chickens and attack cattle. OK, maybe not that big, but it seemed like it. At night, I’d be sleeping upstairs in their house and hear the flies constantly buzzing around my head or banging against the window. It was unnerving because the bedroom was isolated upstairs from the rest of the adults who were still awake and usually playing cards downstairs. It wasn’t like our bungalow in Moncton where I could peer out my bedroom door, turn my head and see my parents sitting on the sofa. Nope, at my grandparents I would have to walk down the stairs and then through the parlour (it was parlour, folks, not a living room) and then, finally, through the dining room to get to the kitchen. When I saw the house again as an adult, it seemed impossibly tiny. When I was a kid, the house seemed huge, though. Going downstairs was like going on a trip to Asia – or at least it seemed that way. It was far! Maybe I should have tamed one of the flies and hopped on its back to fly me downstairs on the express line. I tell ya, they seemed big enough. Fast-forward to 2016. Now, I have a house of my own here in Moncton. Sure, there’s the odd mosquito, fly or two (or three) that have managed to sneak their way in over the years, but not in any major fashion. Last year, I had a bit of a problem with drain flies – not to be confused with fruit flies – but a lot of bleach, traps and cold weather eventually got rid of most of them. This year, though, there must have been an international fly convention organized at my house that I failed to notice. Flies are everywhere. They fly around my office. They land on me while I’m watching television. I find them drowned in water in the sink. I find them dead on the floor. Apparently, they’re called cluster flies and are common in the fall. 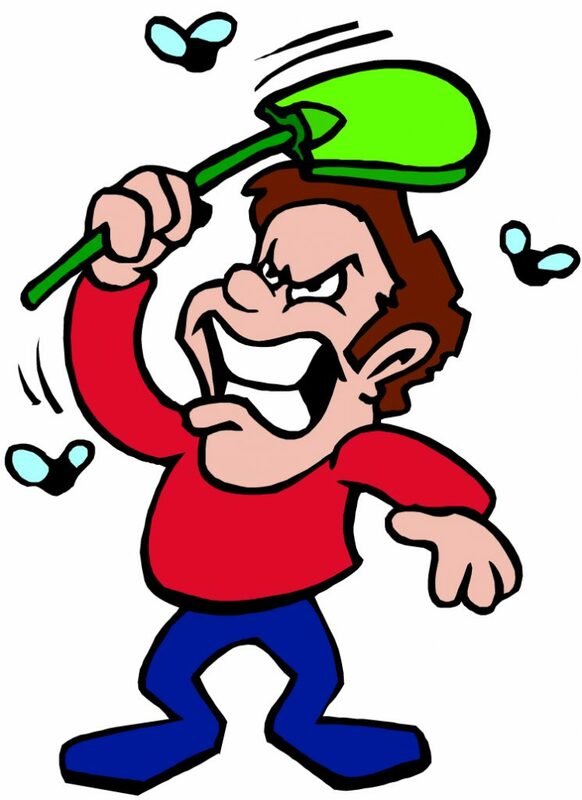 In the past two weeks, I’ve turned into a madman running around the house with my new electric fly swatter – the kind that zaps them on contact. The minute I hear the buzz, I reach over my fly-killing Taser and go on the attack! I’ve become a mass murderer. Guilty as charged, Mother Nature! I don’t know why they’ve decided to set up camp inside my house. There’s a perfectly good outdoors out there. Sure, it may get chilly at night, but at least they don’t risk getting killed by my electrified swatter, a rolled up piece of newspaper or zapped with a lightning-fast snap of a wet dish towel (yes, I put it in the laundry afterwards). I’m an animal lover. I can’t bear to watch those commercials of sad animals with Sarah McLachlan’s ‘In the Arms of the Angels’ playing in the background. But when it comes to flies, I show no mercy. I don’t care if they have little families waiting for them at home around the supper table. If I find them, they’re dead. I seek revenge for all those sleepless nights visiting my grandparents. I shall be victorious. Now, it’s time to take care of ‘buzz’-ness. 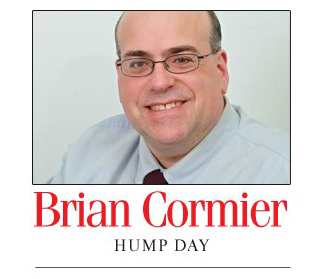 The Sept. 19-25, 2016, edition of Brian Cormier’s Weekly Update is out! Now that we’re already halfway through September (gasp of horror!) the return to routine for many has set in. If you have a family with school-aged children, the early bedtimes are back, kiddos! Even if you don’t have kids, autumn often acts as a return to other routines. Many organized leisure activities start again. Sports are back, such as hockey and football. You know it’s fall when local hockey scores start making it back into the newspaper! As for me, clients are coming back from vacation. They get busy again – which means a traditionally slow summer turns into a busy fall. It’s all good. After all, the bank likes getting my mortgage and car payments every month. They’re strange like that! With that said, I sometimes feel like taking my routine and throwing it to wind. It seems like the media is always filled with stories of people who do things completely out of character and shock their friends. No, I don’t mean like robbing a bank, but sometimes I wonder whether I should just take my entire routine and feed it through a shredder. 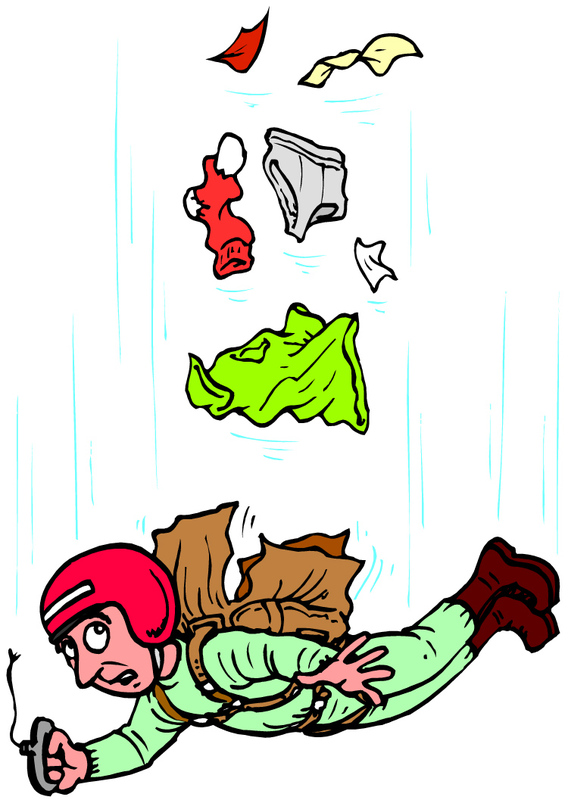 Maybe I should take up ‍skydiving. Well, that won’t happen. I practically faint changing a light bulb because I’m not a fan of heights – and I know I’d end up on the news as ‘that stunningly handsome local columnist’ who decided to change up his life’s routine and who ended up face down in a crater he created in a parking lot when his parachute didn’t open. Routine 1; Brian 0. Maybe I should get a Mohawk haircut and dye my hair purple. Oops. Bald. Actually need hair for that. Scratch that. Tattoo? No. Piercings? Double no. How about going online to find one of those last-minute cheap travel deals and throw caution to the wind and take off for a week with little or no planning? That would be radical – at least for me. Hey, I have a valid passport, although I’ve never used it. I could go. I have a credit card. Find the deal, hop on a plane and go! Why not? There’s a good reason: just the thought of doing it makes me break out into hives. I come from a long line of chronic routine sufferers. Same thing. Same time. Every day. Until you die. Change = hives. Sometimes I see myself going further and further into that mode as I age. As long as you recognize it, it’s easy to stop – or is it? Perhaps I should just find a list of local activities, throw a dart and then force myself to do whatever it lands on no matter how crazy it is. With my luck, I’d land on a class called Watching Paint Dry for Fun and Profit. Hey, I can do that! Maybe I could act in a play? Hey, I could see myself walking out to the applause of the adoring audience. How about tap-dancing lessons? Clickety-click-click-clack everywhere I go. (I’m annoyed already.) Or maybe join a choir and get into a slap-fight with another member over who’ll get the prestigious O Holy Night solo at the Christmas concert? I’ll start practising my slapping now and time it right after the lyric “fall on your knees” during the song. Pow! Right in the kisser! Now you have something to fall on your knees about, buster! Don’t laugh! Maybe one day you’ll look up into the sky to see me falling to the ground with no parachute, wearing tap shoes and singing O Holy Night at the top of my lungs just before I slam face-first right into that parking lot! It would certainly be a surprise to many, I’m sure – especially me. But hey, at least I would have broken out of my routine. There’s something to be said about watching paint dry, however. It may not be the most exciting thing in the world to do, but at least it’s not lethal, unless you take being ‘bored to death’ literally. Regardless, I often feel like throwing caution to the wind these days. Routines are made to be broken.